You say you’re not a beach family? Factory tours of American products and brands are a natural fit for families who want to have a more active sight-seeing experience, or families who might prefer a city vacation. Along the way, kids are learning and having fun, and who knows? Maybe someone in your family will be inspired to start a business or become the next great American maker. My husband, two children, ages eleven and nine, and I took in a few factory tours this year, and our trips were educational as well as enjoyable. Nearly every state offers factory tours, farm tours, and family-friendly tours of all kinds of businesses. Want to know where some of the stuff in your home comes from, or how many potatoes it takes to fill a bag with potato chips? Consider taking your family on one of these tours. You’ll get an inside look at the origin story behind some products and services, receive free samples (if you’re lucky! ), and have fun along the way as you watch it all unfold. Ever since their tiny hands first squished around in finger paint, my children have been obsessed with art, and the Crayola Experience in Easton, Pennsylvania, has since become one of their favorite places to visit. We try to go at least once a year whenever we are up to see the grandparents, who I’m fortunate to say, live nearby. The factory has four levels of fun. You can start your tour with a theatre show, where a resident crayonologist walks you through the process of how the famous Crayola crayons are made. From there, plan to spend hours with your children as they go from station to station coloring, painting, drawing, molding, and creating. 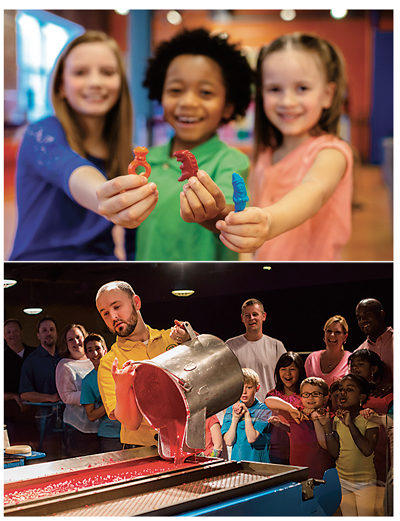 Among the highlights at the Crayola Experience: melting and molding your own crayon; painting with a melted crayon; doodling in the dark; bringing your digital drawings to the big screen; designing and wrapping your own crayon label; and painting in the art studio. There are free samples of crayons, markers, and the like along the way. You’ll also learn about the history of Crayola, see which colors have since retired, and gape in awe at the world’s largest crayon, a blue one weighing in at 1,500 pounds. The Crayola Factory also has a gift store and café. My whole family leaves this place so inspired, we often set up our own Crayola factory at home on rainy days, replete with various art stations and activities. Hours vary depending on the time of year. For more information, call 610-515-8000. 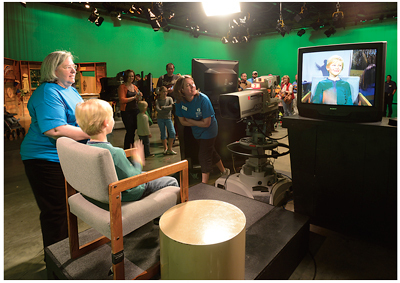 Anyone who listens to 88.9 WCVE or NPR on the radio, or has little ones who enjoy the fabulous programming on PBS, will be thrilled to know they can go behind the scenes at the Community Idea Stations on Sesame Street right here in Richmond. On the tour, you will get an inside view of the digital operations center, where computers stream programming to seven television stations and two television studios where local original programming is recorded (including Flying Squirrels Insider, Virginia Home Grown, and Virginia Currents). To schedule a tour, call 800-476-2357. Like lots of kids, my children have quite the collection of Pez Candy dispensers, featuring some from my husband’s childhood. The Stars Wars dispensers are their favorites, of course. Sports and history lovers, and baseball enthusiasts especially, will appreciate this factory tour, where visitors get a look at the creation of baseball bats intended not only for Little League players, but also Major Leaguers. Personalized bats are crafted here, too. Walk through the process of how a baseball bat is manufactured, which these days is 95 percent by machine in a mere forty seconds. $8 for ages 6 to 12; free for 6 and younger. on the time of year. Walk-ins welcome. 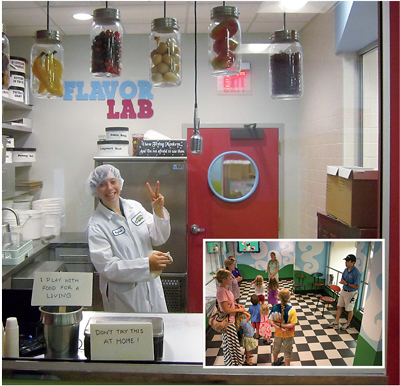 Ice cream lovers of all ages will surely enjoy a stop at the Ben & Jerry’s Ice Cream Factory, also in New England. The half-hour guided tour offers guests a chance to learn about the ice cream manufacturing process as well as the business. You are able to see employees creating the sweet treat from a glassed-in mezzanine. The tour includes a free sample (yum! ), and there is also a scoop shop on-site with specialty flavors as well as traditional favorites, including waffle cones and hot fudge sundaes. For tour information, call 866-258-6877. 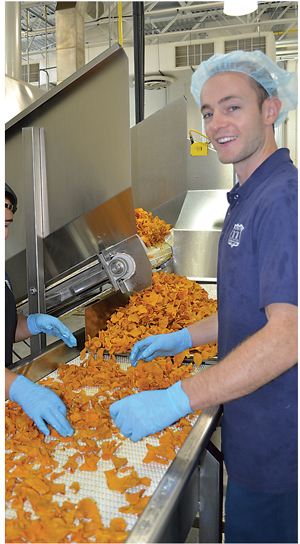 Potato chips are one of my guilty pleasures, so I’m game for a stroll through a potato chip factory anytime. It’s been said that Virginia has it all – mountains, beaches, history, the arts, and, yes, the Route 11 Potato Chip Factory in Mount Jackson. On the afternoon we visited, the four of us were enthralled watching the workers as they fried the potatoes, weeded out any bad chips (odd-shaped, broken, or burned), seasoned them, and packaged them. That day, they made the company’s popular dill-flavored chip as well as the salt and vinegar variety. On what is very much a self-guided tour, you can observe the process through windows on two levels. 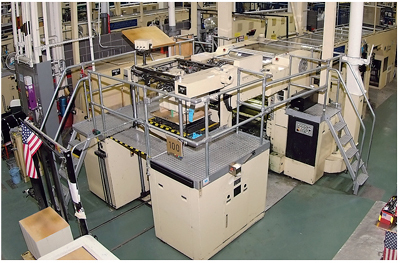 This factory uses about 14,000 pounds of potatoes to make 3,000 pounds of chips, which are sold nationwide and in Japan. We sampled a few after the tour. There is also a little gift shop. Visitors are welcome to walk through the facility Monday through Saturday from nine to five, but call ahead for optimal fry-viewing times. For more information, call 540-477-9664. During this tour in Hershey, Pennsylvania, you are taken on a musical history of how the famous chocolate is made, from sorting and roasting the cocoa beans to the addition of milk and sugar to packaging and shipping. The company produces 60 million Hershey’s Kisses a day. My children enjoyed the conveyor belt car ride, the singing cows, and, of course, the free Kit Kat candy sample at the end of the tour. 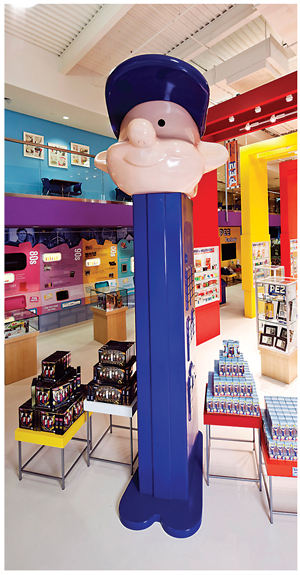 Beyond the free tour, Hershey’s Chocolate World has an enormous gift shop with specialty candies and chocolates, other merchandise, and interactive programs. You can customize your own candy bar from a selection of fifteen different candies, or create your own sweet treat in Hershey’s Dessert Creation Studio. 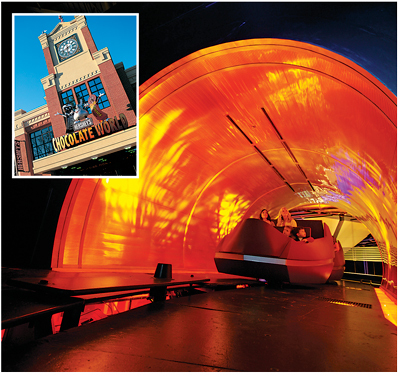 There is also a 4D Chocolate Mystery show, a bakery, an ice cream and milkshake shop, and a food court. You and your family can also hop on the trolley and take a ride through this town built on chocolate. While we were in town, we visited Hershey Park for a day of food, fun, games, and rides. Tours are free and first-come, first-served. We all have a fascination with money, but do you know what it takes to make a dollar bill? The U.S. Bureau of Engraving and Printing has two locations, one in Fort Worth, Texas, and the other not that far from Richmond in the heart of Washington, DC. My family and I took a guided tour at the DC location. Schedule a tour through your Congressional representative. There’s plenty more beyond what’s listed here. World of Coca-Cola factory in Georgia and the Jelly Belly candy factory tour in California are two popular choices for families. And guess what? For a casual factory tour any day of the week, you can always take your crew to Duck Donuts or Krispy Kreme here in Richmond to watch workers make donuts and roll them out on the assembly line. 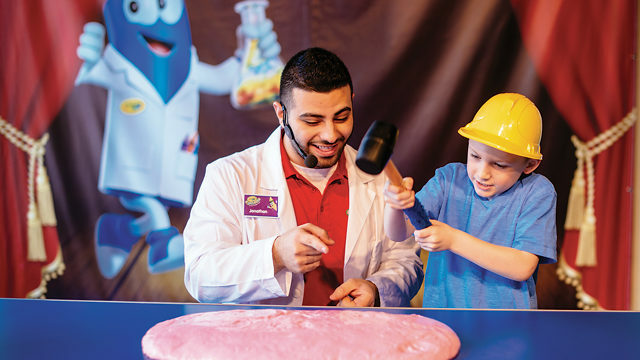 For a complete list of tours in the United States, visit factorytoursusa.com, and have a blast with your kids learning about how things are made.